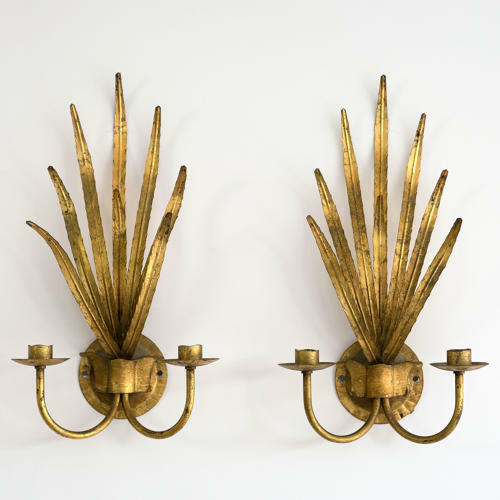 Elegant pair of vintage tolle metal curved leaf wall sconces with beautiful original faded gilt patina. Perfect as candle sconces, or can be re-wired with electric candle bulbs. Italian circa 1950.